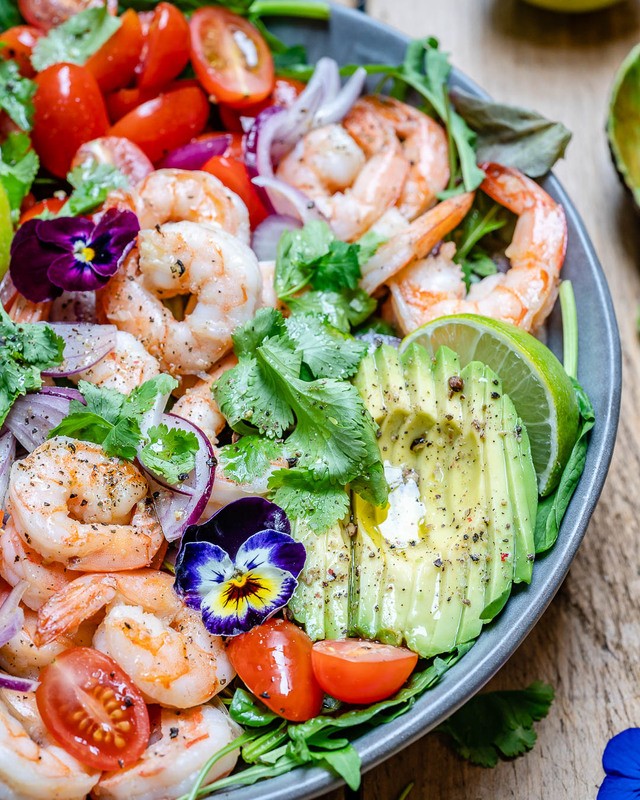 This shrimp and avocado salad recipe is one of the best salad recipes ever. 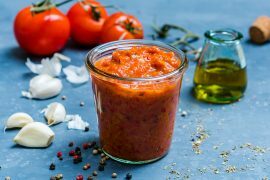 You can make it in just 10 minutes, it’s healthy, great for the Whole30 diet, perfect for meal planning and most importantly… it’s super tasty. Today I am going to show you how to make a shrimp and avocado salad with cilantro and lime… in just 10 minutes. If there was a contest called the-easiest-and-tastiest-salad, this super easy shrimp salad recipe would certainly win it. And nothing would ever dethrone it. 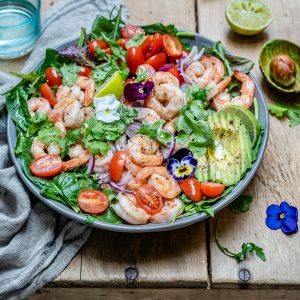 Actually, this shrimp and avocado salad recipe has so many benefits that it’s hard for any food to compete against it. First of all, you can make it in just 10 minutes. How many delicious foods do you know that take so little time to make?! Second of all, cilantro with lime and garlic is one of the best combos ever, in terms of taste and flavor. That’s what makes this shrimp and avocado salad super tasty. Furthermore, this easy shrimp salad recipe is perfect for meal planning. I’ll explain more about this in the tips and tricks below. And another great feature is that it goes with the Whole30 diet. 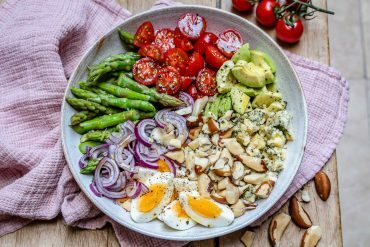 For those of you who are unfamiliar with it, Whole30 is a 30-day clean-eating diet that removes entire categories of foods that might impact your health negatively. 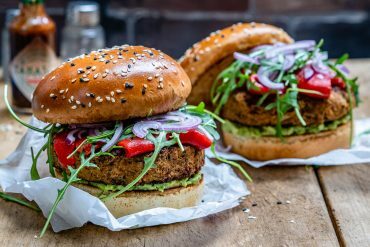 Here are some of the categories that Whole30 rules out: dairy, grains, sugar of any kind (“healthy” or unhealthy) beans, legumes, soy products and alcohol. 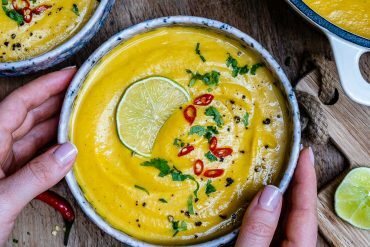 For those who want to learn more about this diet, you should check out the Beginner’s Guide to Whole30 by Greatist.com. 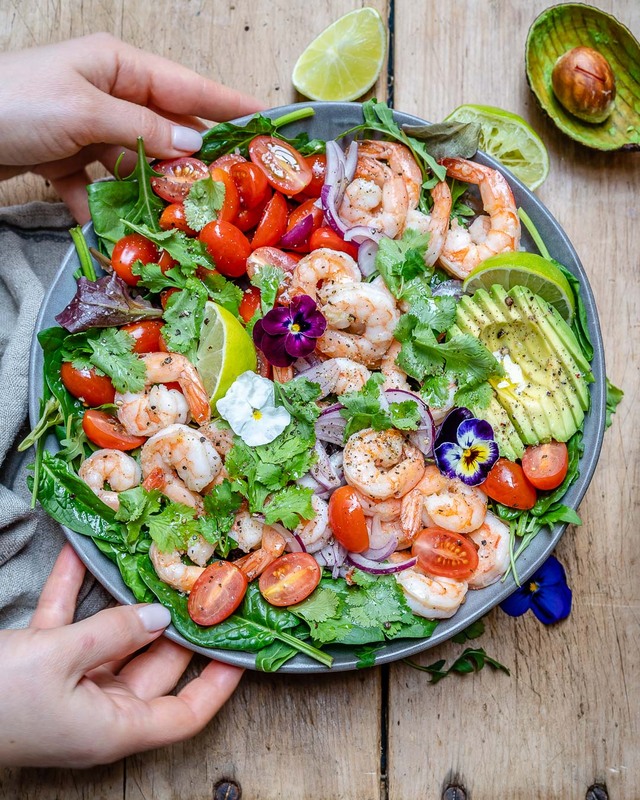 Coming back to our shrimp and avocado salad recipe, the reason why it is so healthy and fits with the Whole30 diet is that it’s low-calorie and low-carb. 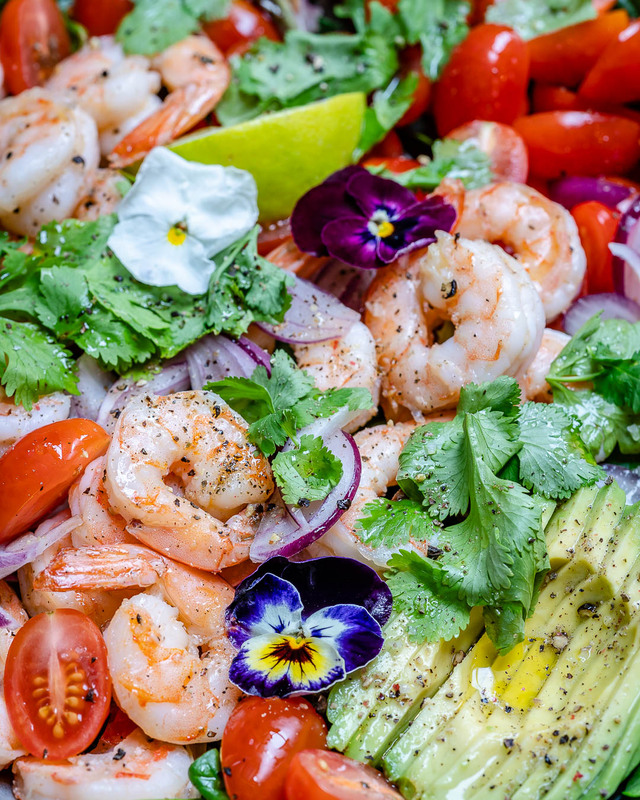 And now it’s time to show you a few useful tips and tricks that will help you make the best cilantro lime shrimp and avocado salad ever. In a skillet: Heat oil in a skillet and toss the shrimps in. Add salt & pepper, minced garlic and other seasonings of your choice. Cook for about 2 min per side or until pink and opaque. In the oven: Toss the shrimps into a large sheet pan, add your seasonings of choice, a bit of olive oil, salt & pepper, mix to coat and then arrange them into a single layer in the pan. Roast until the shrimps turn pink and opaque, about 8-10 minutes. Now that you know how to cook shrimp for salad, let’s see what dressing goes with this shrimp salad. I made this cilantro lime shrimp and avocado salad with a super easy dressing which can also be used for many other dishes. The recipe is simple: lime juice, olive oil, salt and pepper. It’s worth mentioning that if you make it with the second dressing, it won’t go with the Whole30 diet as it contains maple syrup (No sugar, remember?). Now that you know what dressing goes with shrimp salad, let’s move further to the next useful tip. 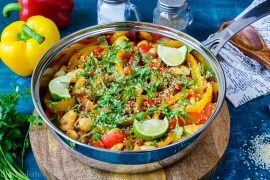 This cilantro lime shrimp salad is great on its own as a main, but I know that it may not be enough for some greedy foodies. So here’s an excellent idea of a side dish that you could serve with shrimp salad: Cilantro lime rice. This simple and tasty side dish goes perfectly with this easy shrimp salad recipe, but you can also serve it with many other dishes. All you have to do is cook the rice according to package instructions, then add a handful of fresh chopped cilantro, squeeze lime, add salt and pepper to taste and mix to combine. Now you know what to serve with shrimp salad. 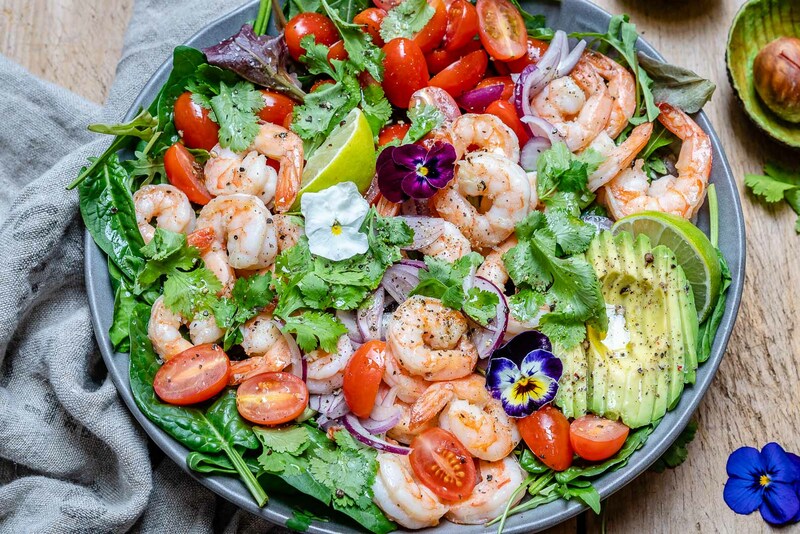 Let’s see how you can adapt this healthy shrimp salad recipe to your taste. You can replace the shrimp with cooked shredded chicken and it will still go with the Whole30 diet. You could also add fruits like cubed mango, kiwi, or even strawberries. As you can see, adapting this healthy shrimp salad recipe to your taste is easy. But if you want to try some different combo (something more “exotic”) and don’t know if it would work, don’t hesitate to ask me. I’m always happy to help when it comes to cooking. And now let’s see how you can use this easy shrimp salad recipe for meal planning. This easy shrimp salad recipe is perfect for meal planning, as are all of my latest recipes. As I told you before, I’m going to post more meal prep recipes and then I’m going to put them together into weekly meal plans and post them here (I’d love to hear your thoughts about this). 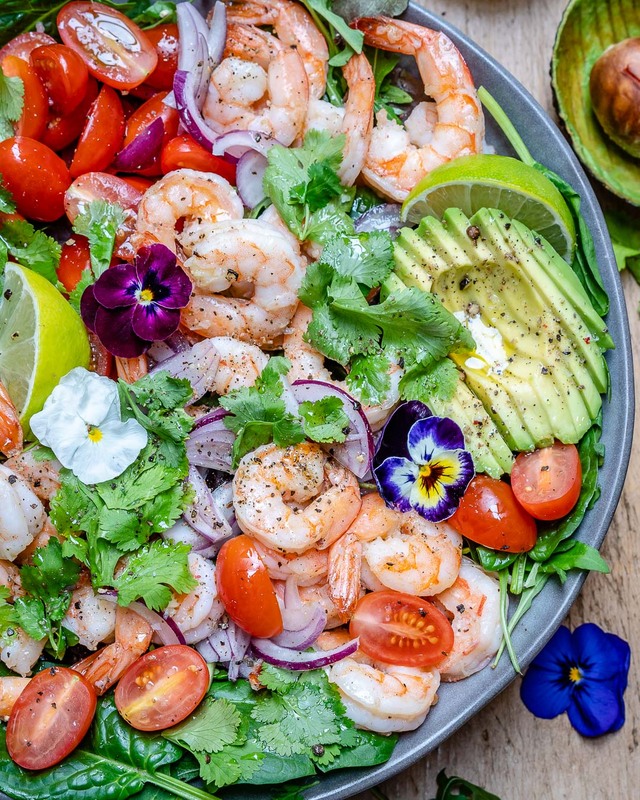 If you want to meal plan with this cilantro lime shrimp salad, then it’s worth noting a few important tricks. 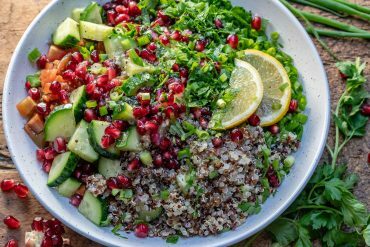 , don’t add the lime juice and seasonings until you’re ready to serve the salad. Otherwise, it will turn soggy. 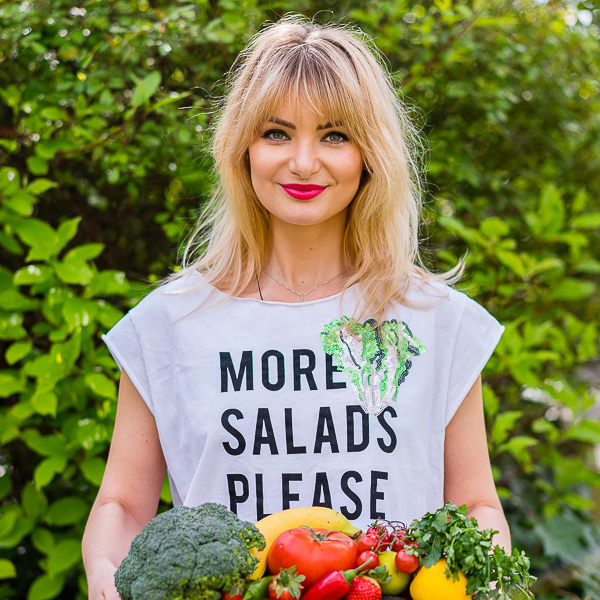 Secondly, make sure the salad leaves are dry so that they will remain fresh and crisp when stored for many days. You can refrigerate this cilantro lime shrimp salad for up to 3 days and season it just before serving. So that was all, my dear foodies. That was everything you needed to know to make this healthy shrimp salad recipe. Now comes the fun part, the actual cooking. And after you make it, don’t forget to snap a shot, post it on Instagram and tag me with @theblondelish. Also, if you like this easy shrimp salad recipe video and want to see more like it, please Subscribe to my Youtube Channel. 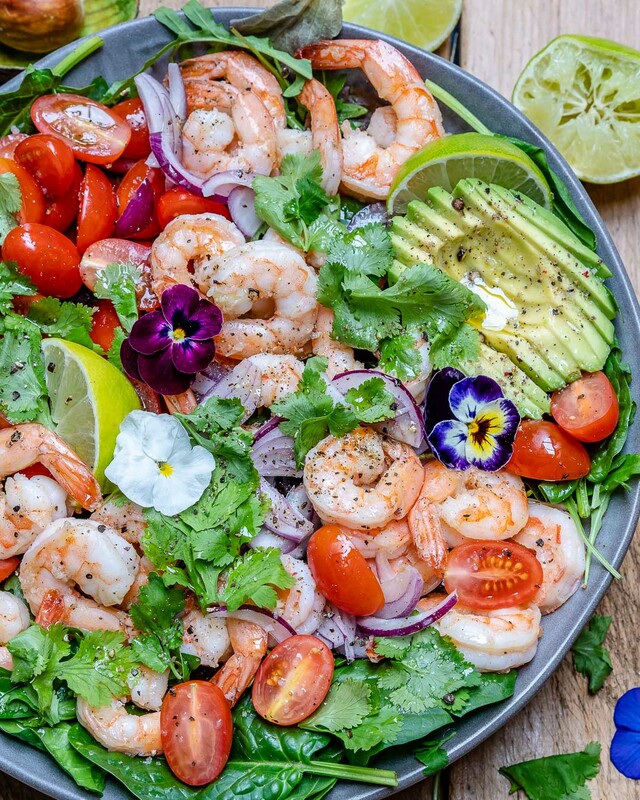 This healthy shrimp salad recipe takes just 10 minutes to make. 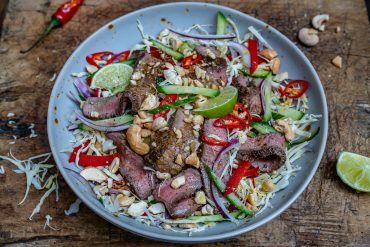 It goes with the Whole30 diet, it is low-calorie and low-carb and best of all, it's super tasty. 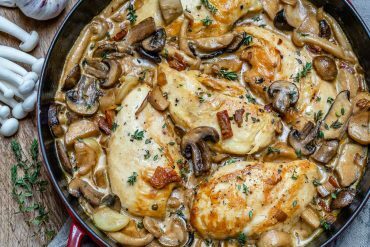 Heat half a tablespoon of oil into a large non-stick pan or skillet over medium-high heat. Add in the shrimp, garlic and sauté for 3-4 minutes, or just until cooked through. Set aside. 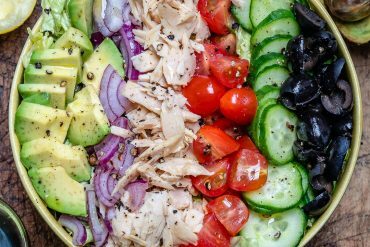 Arrange the salad leaves in a large mixing bowl. Top with tomatoes, red onions, avocados and cooked shrimp. Add fresh picked cilantro and juice from 1 lime. 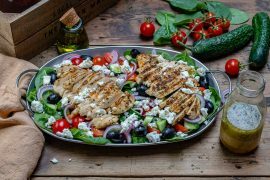 Drizzle with the remaining olive oil, then season with sea salt and fresh ground pepper to your taste and gently toss to combine. There are 2 ways of cooking shrimp for salad: in the skillet and in the oven (see how at Tip #1). You can make it with the simple dressing in the recipe or the maple syrup dressing at Tip #2. But in this case, it won't go with the Whole30 diet as it contains maple syrup. You can replace the shrimp with whole shredded chicken and the veggies with your favorites. Here are a few veggies that go well with cilantro lime shrimp salad: bell peppers, romaine salad, baby spinach, cucumbers. Furthermore, you can add fruits like cubed mango, kiwi, or strawberries. 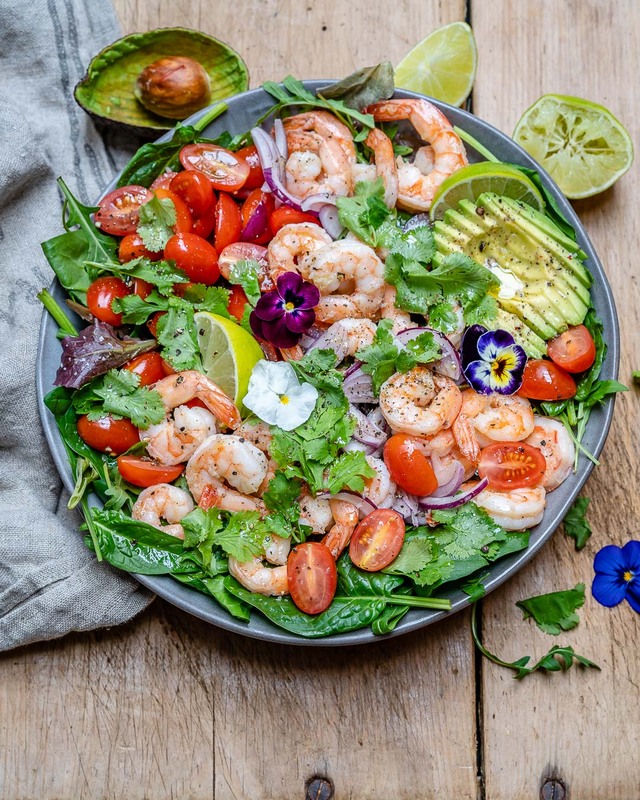 Use this healthy shrimp salad recipe for meal planning but remember to keep the lime juice and seasonings separately from the salad until you are ready to serve it. See more about this process at Tip #5.